Tabletop paper trimmer is ideal for accurately cutting photographs, photostatic work, paper and lightweight cardboard. Trimmer cuts up to 10 sheets of 20 lb. bond paper at a time. The cutting board features a movable trimming guide and a hand-operated drop knife with a handle. The handy ruling guide and 1/2" precision alignment grid provide exact squaring. 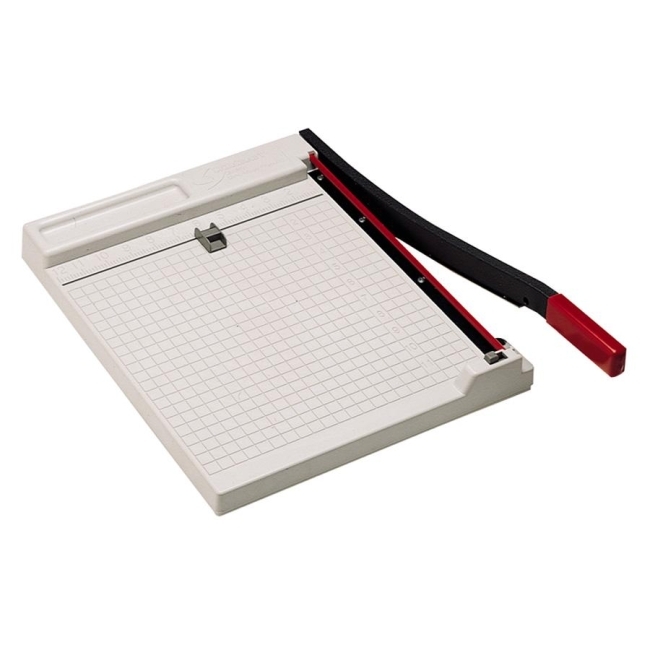 Paper trimmer includes a built-in blade guard and locking device for safety.